We book cruise tickets for both river trips and ocean tours! Provide us details like the number of ports you want to visit, your budget and activities you want to enjoy while on the sailing vessel etc! 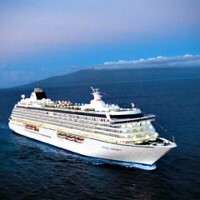 We are a Maharashtra-based travel company and have wide networks with various cruise liners. We can provide you instant ticket booking and also get you hefty discounts. Our service charges are very nominal. Avail our Cruise Services! We can also book a ticket for you for â��nowhere voyageâ��.